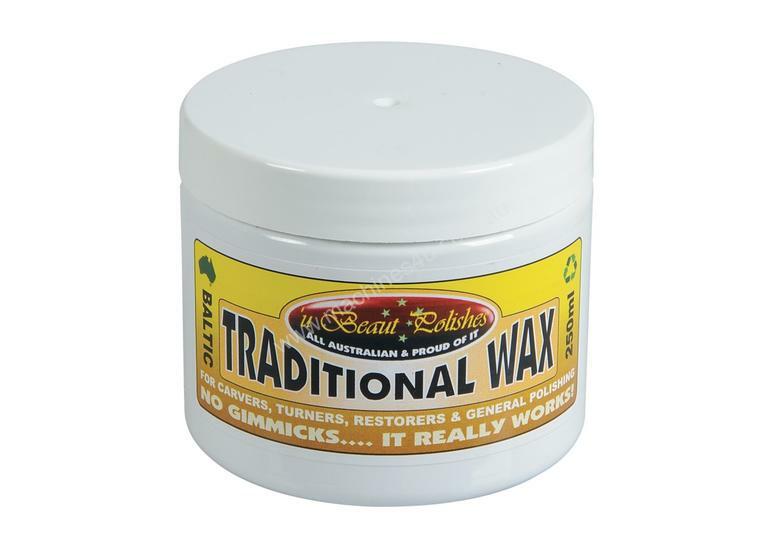 Traditional Wax is a general purpose wax paste made from a unique blend of animal, vegetable and mineral waxes including Carnauba (the hardest of all waxes) to give a hard bright shine and durability. Ozocerite and Ceresin (high melt waxes) are added for extra hardness, shine and water resistance, Microcrystalline for added water resistance, a hint of beeswax for smoothness and the clean fresh fragrance of Herbal Pine. All of the waxes used in the production of Traditional Wax are used in the food, confectionary or pharmaceutical industries, which means the product is child and safe for use with food. It is easy to apply, easy to buff to a shine and leaves the surface of the work with an almost sensual feel. This polish does not give a wet plastic look to the timber but imparts a lustrous and slightly dry looking shine to the work akin to that of a fine antique.